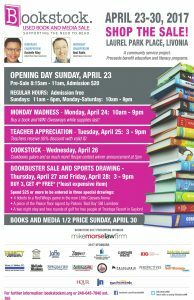 Mark your calendars for the biggest book and media sale to hit Michigan! Come buy books or volunteer! In celebration of our 35th anniversary, we will feature students, tutors, and advocates who are part of our success through 2019. Read their stories here.